RealPlayer SP is one of the best media players that I have come across. The features are all useful, and easy to use. Download using links at the end. RealPlayer has came out with a new version: RealPlayer SP. When I went through the feature list, I was pretty amazed. Here is an overview of this free media player. RealPlayer SP provides one click download from many online video websites. When you are playing a video in your browser, RealPlayer SP will a download button over the video. Just click that and your video will start downloading. You can download multiple videos simultaneously. It can even download and play Flash videos. 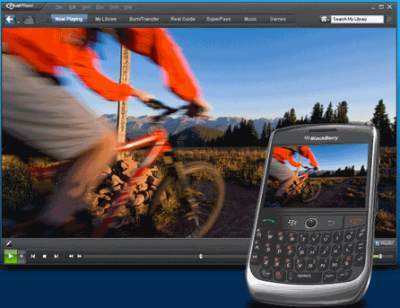 RealPlayer SP comes with a built-in free video and media converter. This enables you to convert your audio and video to your mobile device format. Using this, you can convert and copy your videos to iPod, iPhone, iTunes library, BlackBerry, Xbox, and PS3! The conversion process is as simple as it can get – just click on the “Copy To” link next to your video, select your device from the list, and RealPlayer SP will convert the video directly to your device’s format and copy it to your device. 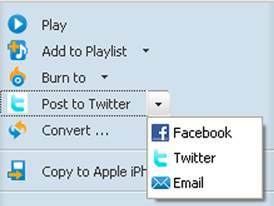 RealPlayer SP has added social networking features. Now you can share your videos with your friends on Facebook and Twitter. Its very easy to do so using built-in sharing functionalities. Plays all popular media formats including Flash, Quicktime MPEG–4, Windows Media, DVDs and CDs. Comes with a built-in media browser so that you can surf the web while listening to your media. High quality playback of videos. RealPlayer SP is one of the best media players that I have come across. The features are useful, and easy to use. Download links, and Video Tutorial at the end. April 19, 2019 How to Transfer Amazon Music Playlist to Spotify? How to Transfer Amazon Music Playlist to Spotify?